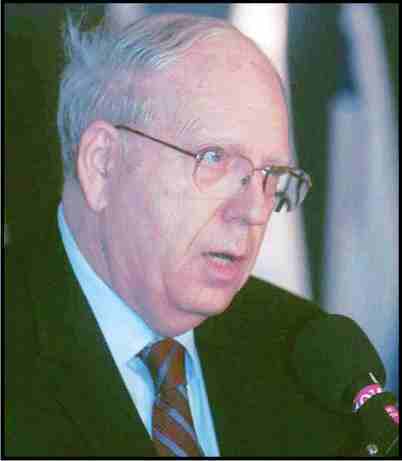 Efraim Halevy, Head of the Mossad between 1998-2002. Efraim Halevy, the former head of the Mossad (1998-2002), who was born in London in 1934, dedicated forty years of his life to that organization. Halevy defined the Mossad in his unique book as "�the unsung men and women� whose courage, devotion and professional excellence have made an indescribable and unique contribution to the security of the State of Israel and to the defense of the free world." His professional and analytical autobiography, Man in the Shadow, is dedicated to these secret heroes who fought for the survival and defense of their country. Halevy's contribution to Israel's well-being is long. He was the deputy-head of the Mossad, representative of the Mossad in the USA, Ambassador of Israel in the European Union, head of Israel's council of National Security, and a special advisor to Prime Ministers such as Binyamin Netanyahu. This book is a discussion of the Middle East crises from approximately 1990 to 2002. The book deals with problems of this period, such as the Oslo Agreement or the Israeli-Jordanian peace agreement. Halevy does not expose the daily-professional activities of the Mossad, or the aspect of various non-Israeli collaborators. Halevy does not discuss the issue of the Mossad as the defender of the world Jewry. Halevy, as a historian of the Mossad, tries to be as objective as possible. Often he exposes mistakes, gaps, and confrontations, as well. For example: He points out that there were cases, or Mossad's policies, which were challenged by the Israeli political establishment. He argued that Binyamin Netanyahu usually accepted the Mossad's policies. Halevy claims that Shimon Peres was not an admirer of the Mossad. Halevy does praise Yitzhak Rabin's attitude and policies. One can see that Halevy has a huge experience in intelligence and diplomatic subjects. He is a very analytical person who knows how to draw conclusions from the international, modern stage. He was also a reformer inside the Mossad: 1) Essential transition from the Cold-War era. There are new enemies; 2) Transferring the Mossad from 'family' into a modern enterprise. Israel was a small social ghetto. So often friends bring friends. Each Mossad agent or staff member views the other as a relative. Halevy decided to stop this tradition. He wrote: "I strictly enforced civil service rules precluding the recruitment of close relatives to government service under the same roof." He confessed that it was not easy to change this old tradition: "After all, was I not one of theirs? But the true interests of the state and the Mossad demanded that I act otherwise." Halevy does not discuss the relations between the Mossad and the electronic mass media and the world of the Internet. In his enlightening book, Halevy tells about his secret diplomatic missions. For example, he defined himself as 'the intelligence officer' and as 'a broker between nations'. He was a friend of Hussein, King of Jordan, and other Jordanians. In 1997, Mossad agents tried to kill Hamas' leader Mashal in Amman, Jordan's capital. It was a failure. These agents were arrested. Halevy traveled to Amman and met with the Jordanians and managed to solve the conflict, which shocked the King. The price of Halevy's solution, saving the peace with Jordan, was the releasing from an Israeli jail, the notorious Hamas' spiritual leader, Sheikh Yassin. The Israeli agents returned home. Mashal survived also, thanks to Israeli medical help. At the end of this book, Halevy provided the reader with the best chapter dealing with Muslim terrorism. Halevy stressed the fact that Israel and the Western leaders must challenge the threat of militant Muslim and a global declaration of war. The USA is the victim and target of this threat. The catastrophe of this threat is 9/11. The USA became involved in the Middle East. Halevy explains: 1) Muslim terrorist movements use sophisticated power. They have short-term or long-term targets and strategies; 2) They would use non-conventional devices: nuclear, biological, or chemical; 3) By 'Allah's divine decree', they will massacre civilians too. Halevy argued that some movements are global like Al Qaeda and that for them Satan is the USA. But others, like Hamas or Hezbollah, are territorial. Hamas' goal is to destroy territory, meaning Israel. It has its own welfare state. Halevy calls for reform: The now passive prevented strategy-method against this terrorism would save the world. The solution is non-stop active attacks against them. This is a war! A united camp! It is a new kind of global war against organized Muslim terrorist armies and terrorist movements! The only reaction to these sophisticated terrorists is an aggressive, not preventative, war against them! Halevy concludes that we must reform our methods, the passive ones, and move to a non-stop active war!